Nuclear medicine is a branch of medical imaging that uses small amounts of radioactive material to diagnose and determine the severity of many diseases, particularly many types of cancers, heart disease, gastrointestinal, endocrine, neurological disorders and other abnormalities within the body. Because nuclear medicine procedures are able to pinpoint molecular activity within the body, they offer the potential to identify disease in its earliest stages, and evaluate a patient’s immediate response to therapeutic interventions. Nuclear medicine imaging procedures are noninvasive, and with the exception of intravenous injections are painless medical tests that help physicians diagnose and evaluate medical conditions. These imaging scans use radioactive materials called radiopharmaceuticals or radiotracers. CT imaging uses special x-ray equipment, and in some cases a contrast material to produce multiple images or pictures of the body. These images are then interpreted by a radiologist on a computer monitor. CT imaging provides excellent anatomic information. The combined PET/CT scans provide images that pinpoint the anatomic location of abnormal metabolic activity within the body. The combined scans have been shown to provide more accurate diagnoses than the two scans performed separately. 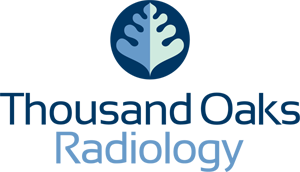 How should I prepare for a PET and PET/CT scan? Women should always inform their physician or technologist if there is any possibility that they are pregnant or if they are breastfeeding. Generally, you will be asked not to eat anything for several hours before a whole body PET/CT scan since eating may alter the distribution of the PET tracer in your body and can lead to a suboptimal scan. This could require the scan to be repeated on another day, so following instructions regarding eating is very important. You will be asked and checked for any conditions that you may have that may increase the risk of receiving intravenous contrast material. With ordinary x-ray examinations, an image is made by passing x-rays through the patient’s body. In contrast, nuclear medicine procedures use a radioactive material, called a radiopharmaceutical or radiotracer, which is injected into the bloodstream, swallowed or inhaled as a gas. This radioactive material accumulates in the organ or area of your body being examined, where it gives off a small amount of energy in the form of gamma rays. Special cameras detect this energy, and with the help of a computer create pictures offering details on both the structure and function of organs and tissues in your body. Unlike other imaging techniques, nuclear medicine imaging exams focus on depicting physiologic processes within the body, such as rates of metabolism or levels of various other chemical activity, instead of showing anatomy and structure. Areas of greater intensity, called “hot spots,” indicate where large amounts of the radiotracer have accumulated and where there is a high level of chemical or metabolic activity. Less intense areas, or “cold spots,” indicate a smaller concentration of radiotracer and less chemical activity. You may be asked to wear a gown during the exam or you may be allowed to wear your own clothing. You will then be positioned on an examination table. If necessary, a nurse or technologist will insert an intravenous (IV) catheter into a vein in your hand or arm. Depending on the type of nuclear medicine exam you are undergoing, the dose of radiotracer is then injected intravenously, swallowed or inhaled as a gas. You may be asked to drink some contrast material that will localize in the intestines and help the radiologist interpreting the study. Typically, it will take approximately 60 minutes for the radiotracer to travel through your body and to be absorbed by the organ or tissue being studied. You will be asked to rest quietly, avoiding movement and talking. You will then be moved into the PET/CT scanner and the imaging will begin. It is important to remain still during imaging. The CT exam will be done first, followed by the PET scan. On occasion, a second CT scan with intravenous contrast will follow the PET scan. Total scanning time for both examinations is approximately 30 minutes. When the radioactive material is injected into your arm intravenously, you may feel a pinprick where the needle enters followed by a cold sensation moving up your arm, but there are generally no other side effects. When swallowed, the radiotracer has little or no taste. When inhaled, you should feel no differently than when breathing room air or holding your breath. If you are claustrophobic, you may feel some anxiety while you are being scanned. Unless your physician tells you otherwise, you may resume your normal activities after your nuclear medicine scan. If any special instructions are necessary, you will be informed before you leave. A small amount of radiotracer in your body will lose its radioactivity over time. It may also pass out of your body through your urine or stool during the first few hours or days following the test. You should also drink plenty of water to help flush the radioactive material out of your body as instructed by the technologist. A radiologist or other physician who has specialized training in nuclear medicine will interpret the images and forward a report electronically and by fax to your referring physician who will discuss the results with you. 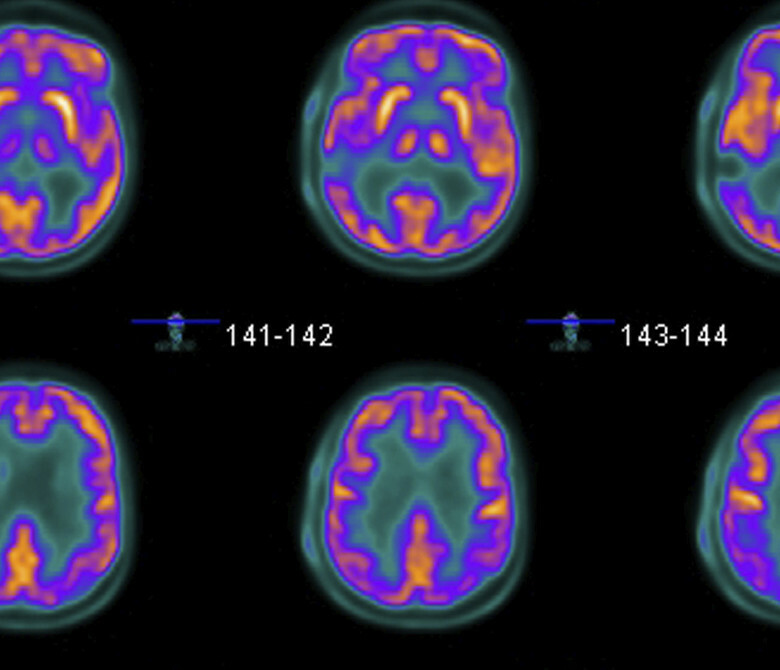 Nuclear medicine examinations provide unique information—including details on both function and anatomic structure of the body that cannot be obtained using other imaging procedures. greater detail with a higher level of accuracy; because both scans are performed at one time without the patient having to change positions. 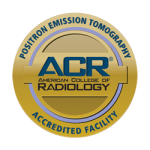 Because the doses of radiotracer administered are small, diagnostic nuclear medicine procedures result in relatively low radiation exposure to the patient, acceptable for diagnostic exams. The radiation risk is very low compared with the potential benefits.